Earlier this week, vivo unveiled its latest smartphone flagships at a dedicated event – the vivo X6 and X6 Plus. 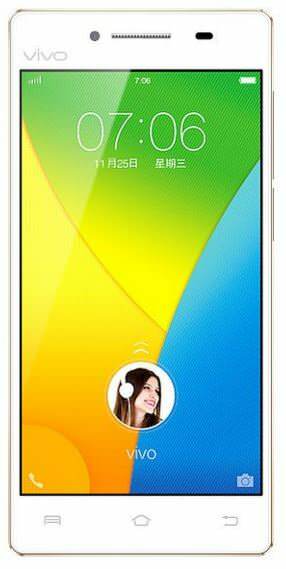 In addition, the brand has silently introduced its latest budget 4G LTE-enabled smartphone dubbed the vivo Y51. The phone has been listed on the company’s website without any word on its price and availability details. The vivo Y51 runs the company’s FunTouch OS based on Android 5.0.2 Lollipop. The phone is backed by a 64-bit quad-core Qualcomm Snapdragon 410 processor clocked at 1.2GHz, aided by an Adreno 306 GPU and 2GB of RAM. Storage capacity on board is 16GB, which can be further topped up to 128GB via a microSD card. The vivo Y51 offers an 8-megapixel primary shooter with an LED flash, and a 5-megapixel secondary snapper for selfies. Connectivity-wise, the phone offers 4G LTE including support for both India’s LTE bands, dual-SIM slots, Wi-Fi, Bluetooth, micro-USB, GPS, FM Radio and an Infrared sensor as well. Under the hood sits a 2,350mAh battery. As per the recent leaks, vivo is also expected to launch a slightly upgraded variant of the Y51 as the Y51L. In addition, an entry-level vivo Y37A model is also in the works. They all are expected to launch in the coming weeks.